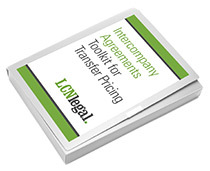 This checklist contains an extract from our free guide to putting in place effective intercompany agreements for transfer pricing. To access the guide in full, click here. The checklist can be used whether you are putting in a new arrangement, or checking whether an existing intercompany agreement may need to be updated. 1. Parties – are the parties correctly described? It is generally better to use company registration numbers in addition to the company names, as names may be more likely to change. 3. Term and termination – check the proposed commencement date for the agreement, and any termination date or provisions for terminating the arrangements on notice. 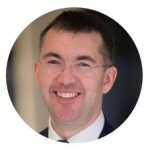 Pay particular attention to any attempt to ‘backdate’ arrangements – click here for a separate article on this subject. Review the provisions for terminating the arrangements on notice. Notice periods should achieve an appropriate balance between allowing the group flexibility to vary the structure in the future, while also reflecting arrangements which are commercially justifiable for all participating entities (see also item 10 below). 4. Legal ownership of pre-existing intellectual property – if the agreement deals with or relies on pre-existing intellectual property (such as rights in technology or trade marks), ascertain where legal and beneficial ownership of that intellectual property actually resides. Make sure that the terms of the agreement are consistent with that position. 5. Legal ownership of intellectual property created in the performance of the agreement – check that this is clearly stated, and that the identity of the owner is consistent with the group’s intellectual property objectives. 6. Vertical consistency – where the agreement forms part of a chain of supplies of goods or services or licences, check that the draft agreement is consistent with what is happening in the chain above and below the agreement. This includes the ultimate supply of goods, services or intellectual property licences to customers where relevant. 7. Horizontal consistency – where pricing of the supply being made under the agreement needs to be aligned to, or differentiated from, other similar supplies, make sure that the terms of the agreement are appropriately similar or differentiated, as the case may be. This applies particularly to internal comparables. 8. Governing law and formal requirements – check that the agreement contains a clear choice of law provision, and that legal advice has been obtained on any areas of uncertainty as to formal requirements. 9. Administrative and reporting provisions – check that any administrative provisions, such as change control clauses or pre-approval of budgets, matches what actually happens in practice. 10. Corporate benefit – check that the arrangements as a whole make commercial sense from the individual perspectives of each of the participating entities.